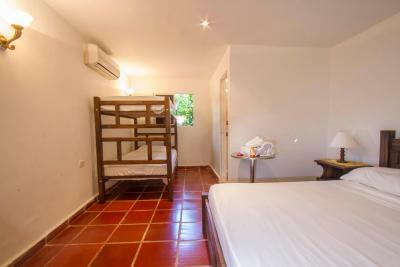 Lock in a great price for Manigua Tayrona Hostel – rated 8.9 by recent guests! 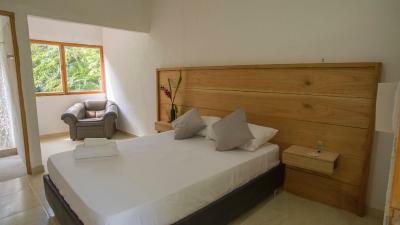 Rustic comfortable setting in the jungle close to the park. Staff was so friendly and helpful in every way. I loved the staff especially Alejandra and Juan Puablo. Everyone was extremely friendly, accommodating and they gave great recommendations! The property is beautiful, the artwork is very special, the breakfasts were delicious and the food at the restaurant was delectable. I cannot recommend this hostel/hotel more. 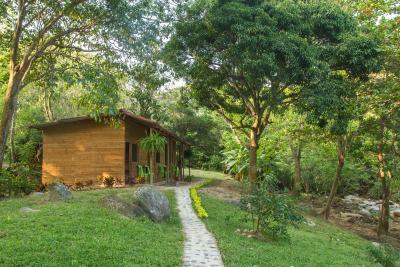 Perfect location to visit Tayrona Park. Great place to stay! The staff were so nice. The hostel is very beautiful and close to another entrance of the park. The staff is amazing. They could speak English and very helpful. The location is good. Entrance to the Tayrona park from just outside -> be prepared for a touch hike though. Food was simple and filling. I loved the layout with the eating/socializing area with hammocks and then pool too. Made for a few different options. Alejandra, Mike and the rest of the staff were so welcoming and warm. I stayed five nights and was never disappointed in the service. And the food is uncommonly good. Can't say enough about it. Which is important given Manigua's location right next to the (much) quieter entrance to Tayrona. The food was great. Nice pool. They took care of our dog for a few while we spent the day in the park! One of our best sellers in El Zaino! 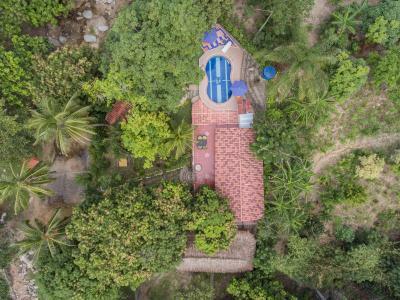 Featuring an outdoor swimming pool and a restaurant, Manigua Tayrona Hostel is located in El Zaino. 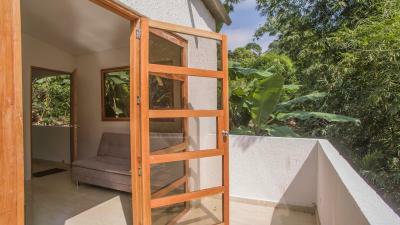 The property features a garden, as well as a shared lounge. 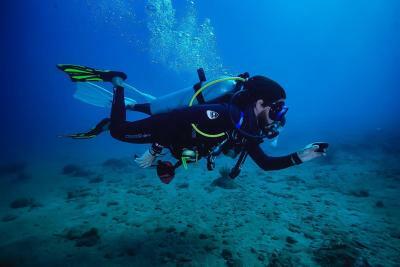 The tour desk can help arrange some activities and free WiFi is available. The guesthouse has a sun terrace. Cycling is among the activities that guests can enjoy near Manigua Tayrona Hostel. 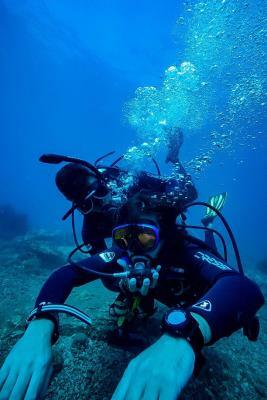 Santa Marta is 17 miles from the accommodation, while Taganga is 19 miles away. 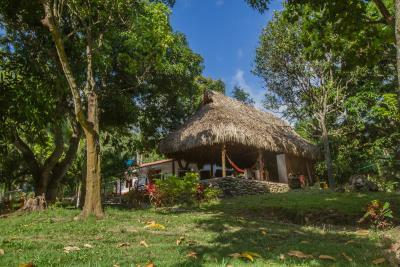 The nearest airport is Simón Bolívar International Airport, 24 miles from Manigua Tayrona Hostel. 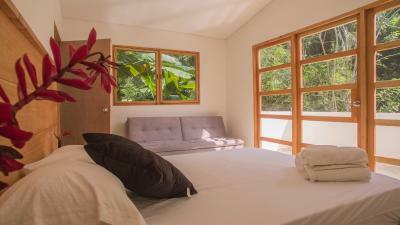 When would you like to stay at Manigua Tayrona Hostel? 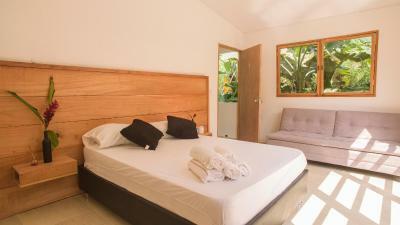 This twin room has a garden view, air conditioning and private entrance. This family room features a view a fan and private entrance. 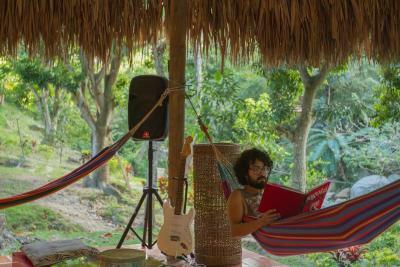 House Rules Manigua Tayrona Hostel takes special requests – add in the next step! 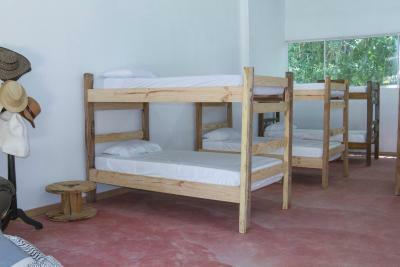 All children under 12 years are charged COP 35000 per night for extra beds. 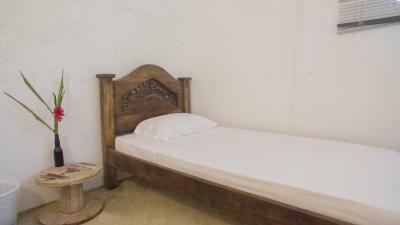 Any additional older children or adults are charged COP 45000 per night for extra beds. 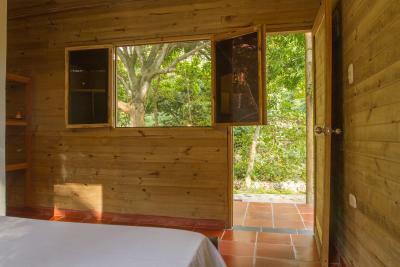 Manigua Tayrona Hostel accepts these cards and reserves the right to temporarily hold an amount prior to arrival. Please inform Manigua Tayrona Hostel of your expected arrival time in advance. You can use the Special Requests box when booking, or contact the property directly using the contact details in your confirmation. Very expensive food at the restaurant and very small portions. 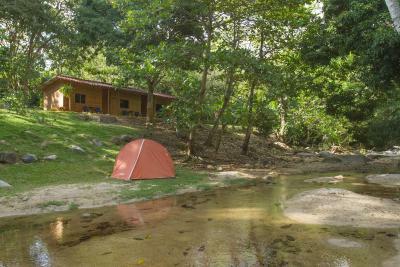 Perfectly located at the Calabazo entrance of Tayrona. 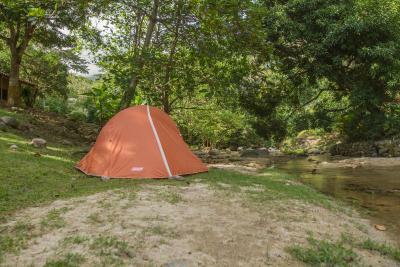 Very friendly staff, we could leave our backpacks at the guesthouse and take a shower after hiking in Tayrona. 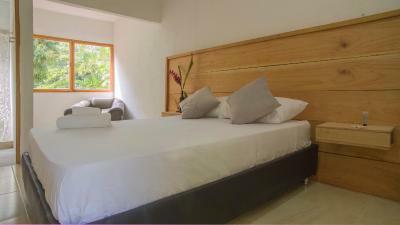 The hosts were exceedingly friendly, helpful and accommodating. The dorm could be a little more comfortable and clean. There was no wifi when I was there, they offered me to use for quick Search their private data - it was kind of pity because i planned to to some Organisation stuff online. 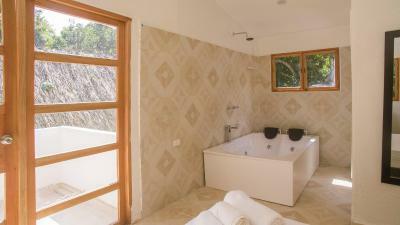 Its important to know that this property has 2 type of two-person rooms. One without airco and one with. I booked the one without but did not really like that room. 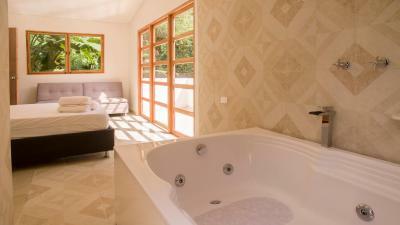 Probably the chalet or airco room is the better option. At night the room I booked cools down if you keep the windows open, but because the property uses plastic sleeves over the bed the bed remains really warm. Next to this you cannot close the curtains when leaving the window open. 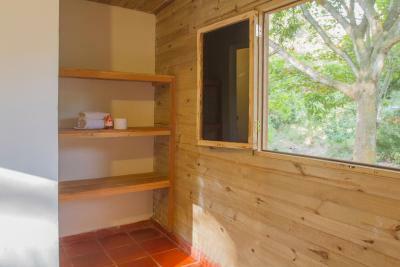 Also there are windows without curtains on strange places in the room leaving little privacy. The staff is really nice and accommodating. They helped us with the hike, and finding good beaches. The food was good and the pool is nice. Close to the difficult entrance that provides the best hike trough the tayrone park. The food was not good and very overpriced! 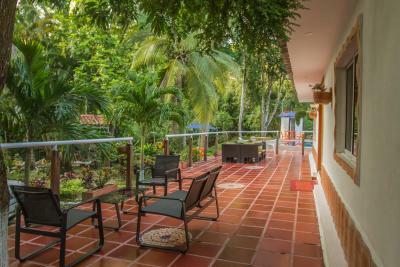 Incredible location - perfect for entering Tayrona via Calabazo entrance and enchanting grounds - you will see red squirrels, monkeys and all sorts of birds from outside your room. 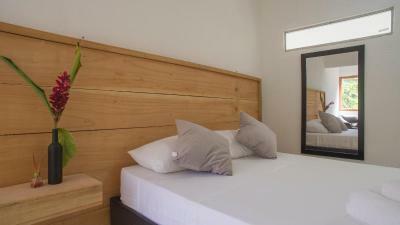 The staff were super friendly and rooms fairly comfortable, particularly considering the location. No curtains so rise and shine early. Nice hostal with good food. The common area is too small for the amount of guests. The restaurant has a limited offering, and seems to miss fresh vegetables. 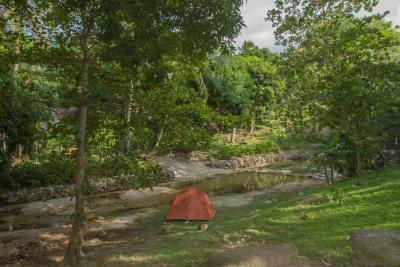 The hostel is located in a quiet and beautiful area, from where it is easy to discover the Tayrona park and the surroundings. 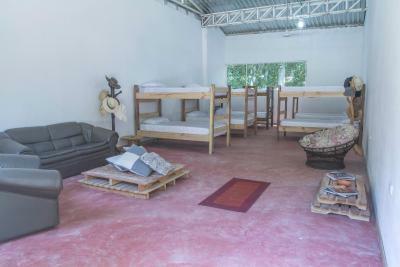 It is also the only hostel in the small village of Calabazo, which makes it even easier to feel like a local. Some spots were a bit worn out, but it was kind of part of the spirit. 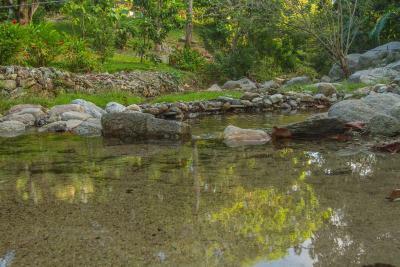 Very lovely place in the more quiet entrance of Tayrona, right in the jungle! Friendly owners and good food! The staff is incredibly friendly and the atmosphere is warm. 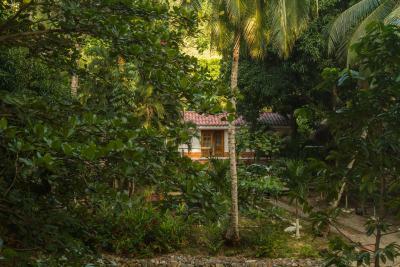 Food was great, and the location was optimal; right next to the less crowded entrance to Tayrona with a spectacular jungle hike. 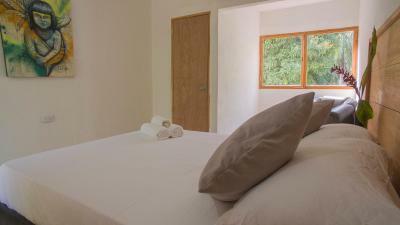 I Loved our stay here, it's the perfect place to kick back and relax for a few days or to use as a base to explore the national park or the beautiful beaches around the area. The staff are all very helpful and friendly they really make you feel welcome. 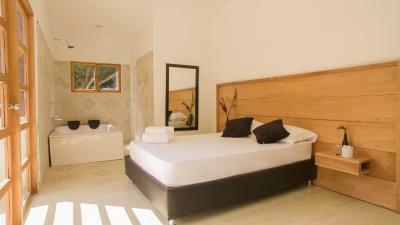 The rooms are very clean and comfortable. Furthermore, the food all freshly made for dinner or lunch tastes great. I would highly recommend this place. Everything, very nice and friendly people, delicious food, nice swimmingpool, bar and a nice place to relax in the hammocks!! Also english speaking personel! A great stay, i really recommend this place!! Room with all the beds was a bit strange. They cleaned it every day which was great but could do with better bed frames and flooring. 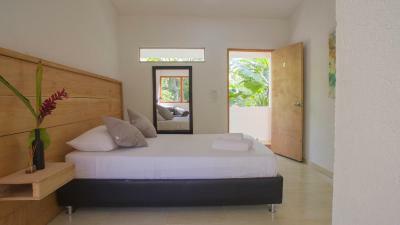 BEST place to stay to get into Tayrona. 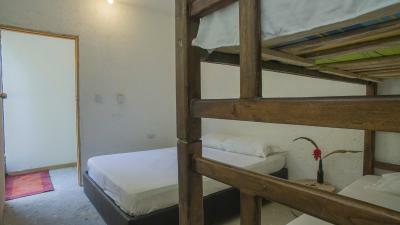 You go in through the entrance right at the hostel and then hike 3 hours to Cabo San Juan.